The property Stockholm Lejonet 4 (Adelswärdska huset) and Jonas Wiström, CEO of Ratos. 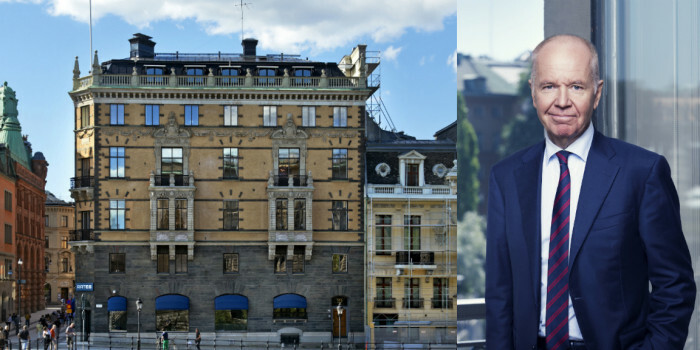 Sweden — Ratos divests Adelswärdska huset in central Stockholm to the Swedish State for MSEK 550 (EUR 53M). “The Stockholm Lejonet 4 property was acquired by Söderberg & Haak in 1938 and by Ratos in 1980. The security requirements in the area surrounding the property have gradually increased, resulting in a number of restrictions and obstacles in terms of how the property can be used, including entry and exit restrictions. Allowing the National Property Board to take over the property is therefore a logical alternative”, says Jonas Wiström, CEO of Ratos.